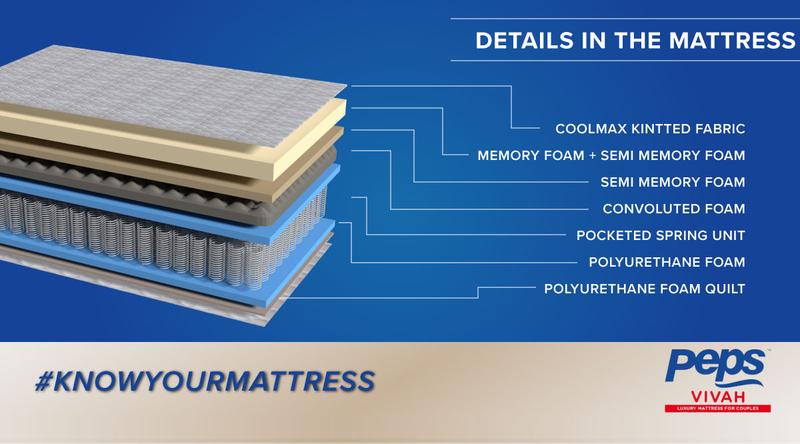 #knowyourmattress series has been created to help you understand the different characteristics and advantages of each mattress. This will help you choose the right mattress for yourself or your loved ones. Vivah is a toast to the joy of new beginnings. 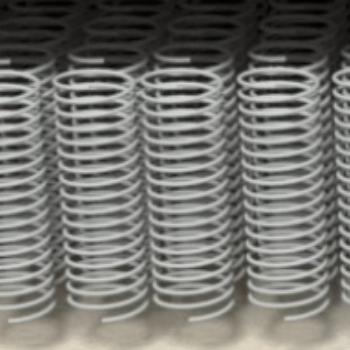 The mattress is made of independent springs each encased in their individual pockets of textile. Now, you can snuggle deeper into your covers, or bury your nose into your pillow without worrying about waking your partner. The unique finishing guarantees lifelong durability and unmatched comfort. Who said you can’t sleep when you’re in love? CoolMax knitted fabric is known for its ability to keep your mattress cool, dry, and comfortable at night. Its unique fiber design actually incorporates micro-channels that actively wick away moisture through capillary action, keeping you cooler in warm conditions and warmer in cool conditions. Best of all, this space-age polyester knit fabric is extremely comfortable, light weight, and breathable. If you tend to sleep hot for any reason, or know someone who sleeps hot due to hot flashes, night sweats, medications this CoolMax knitted fabric will help manage their perspiration effectively, PEPS Vivah comes with the CoolMax fabric to help you and your loved ones sleep better. Memory foam has several benefits. They provide relief from painful pressure points and because of the contouring effect of a memory foam mattress, back pain is lessened due to a more natural resting position of the spine. 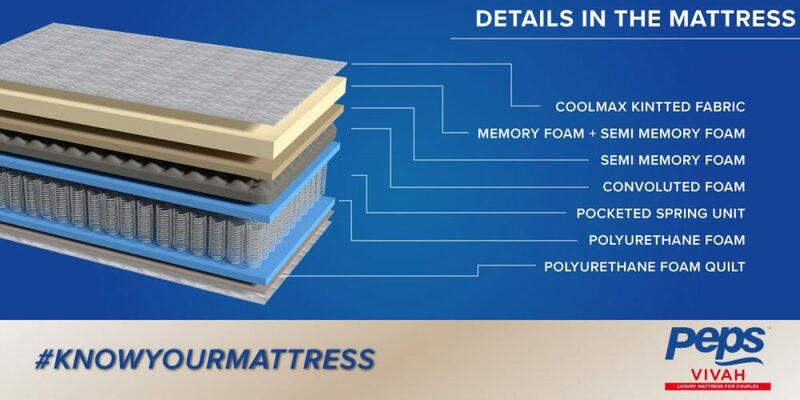 Memory foam mattresses can also provide extra warmth and comfort. 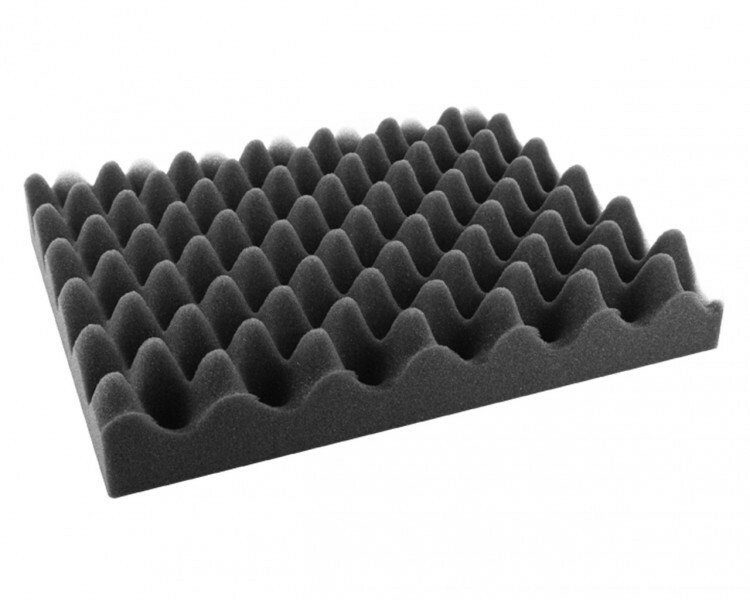 Convoluted foam is lighter than a solid piece of foam and allows for added airflow. Foam mattress toppers often use convoluted foam designs for added support. Health professionals frequently recommend convoluted foam toppers to bed-ridden patients because the shape helps prevent bedsores. Polyurethane Foam gives durability, comfort, and support. 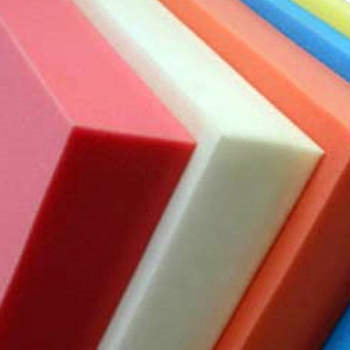 Peps Vivah contains properly used polyurethane foam for a comfortable surface. It also offers the benefits of being noiseless, dustless, and resisting crumbling and matting. Polyurethane foam does not aggravate the majority of allergies and lacks a residual odor. It also has an open cell structure that lets the material breathe and reduces the chance of mold and mildew infestation. Pocket spring covers contain hundreds and thousands of springs that are encased in individual soft fabric pockets below the layers of sumptuous fillings. This type of mattress is quite well-liked because the springs work independently at the right tension. Even if two people share the same bed, these mattresses will support each of them individually, giving them appropriate support. Beginning from head to toe, you will experience a deep level of support with pocket spring mattress and also does not disturb each other’s sleep in the event of tossing and turning on the mattress.